When we calculate the LWD differential for every 75 pitches called (the average number thrown in a 9 inning matchup), we find Wide Zone Mo at the top of the list. In regular season games from 2008-2010, Mariano Rivera's zone (heat map above) has saved the Yankees about 1.61 runs every 9 innings. This works out to about 0.16 runs per outing. 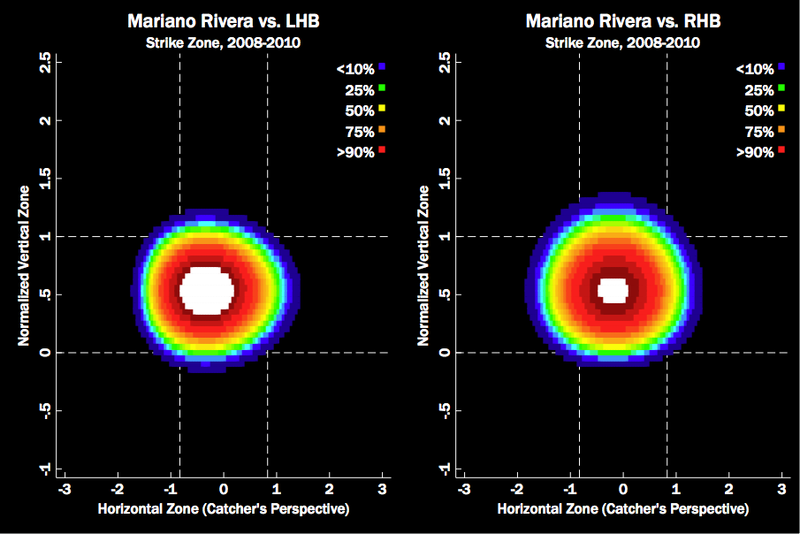 Considering how seldom Rivera allows any runs at all, the runs saved by his strike zone are especially valuable.